A new school year has begun, and with it new opportunities for resolving conflicts nonviolently. Students at Claremont Academy will be ready. 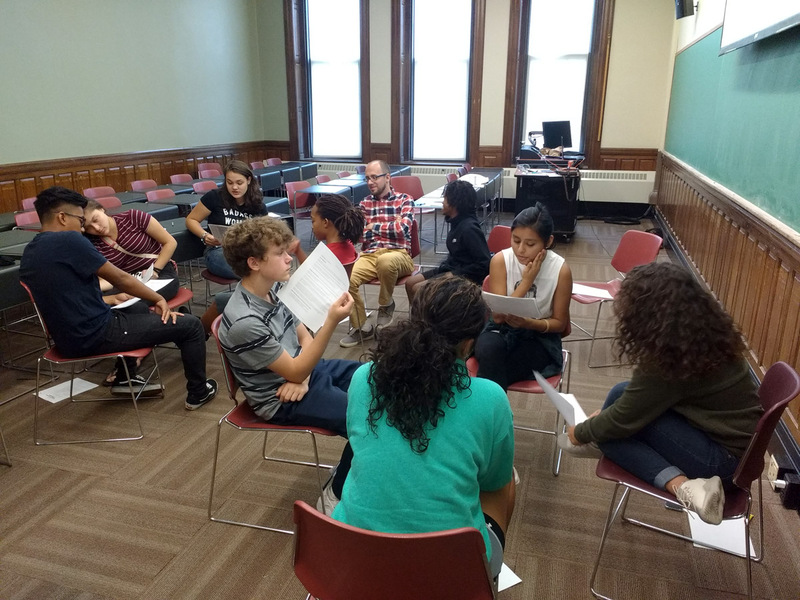 In the final days of summer, eight rising sophomores attended the Center’s ten-hour training in peer mediation in anticipation of helping their fellow middle-schoolers find peaceful resolutions to their conflicts. Participants were taught the basic steps of the mediation process: How to welcome disputants and communicate the ground rules; how to actively listen to get both sides of the story; how to encourage disputants to brainstorm solutions and come up with one that is realistic. 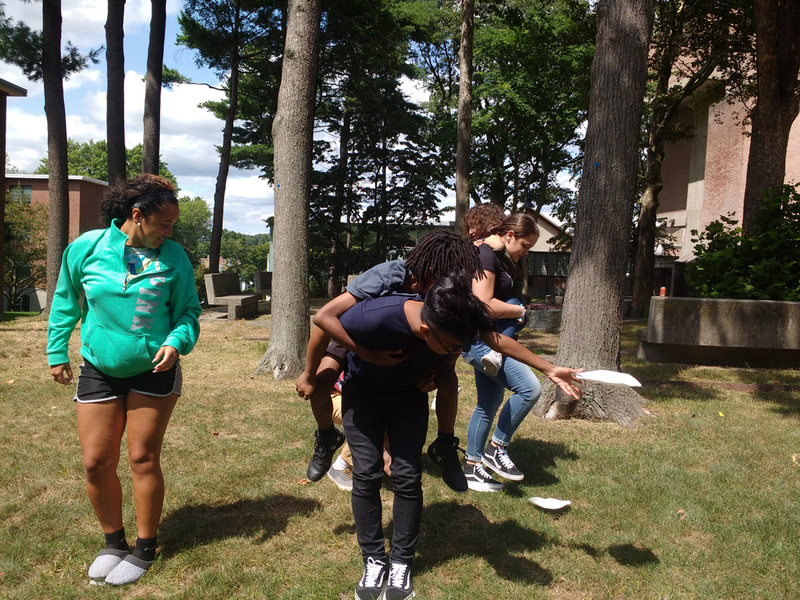 Our tenth-graders were an active bunch, so this year’s training included quite a few games. Here they are diving into a lively round of the cooperative game Hot Lava. And of course, there were lots of role plays. The sophomores are the second cohort of mediators trained by the Center. They will be joining the 2016 cohort in helping to build a culture of peace at Claremont Academy.